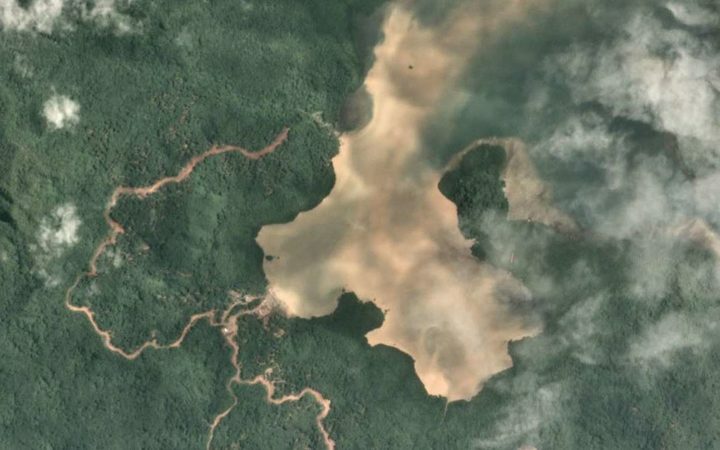 AMEX Resources is exploring the sandbanks of the delta at the mouth of the Ba River between Raviravi and Vatutavui from its Sorokoba field base for iron sand. Minister for Industry, Trade, Tourism, Lands and Mineral Resources Faiyaz Koya said this yesterday during the handover ceremony of the wharf site to Chinese company First Harbour Consultants for the construction of a new wharf and ship-loading infrastructure. “Not only will the project boost our economy and open up employment opportunities; it is also expected to complement Government’s efforts to dredge the Ba Delta, thereby reducing the impacts of flooding during wet weather and we all know the damaging effects of a river bursting its banks,” he said. Iron sand is a component used to create steel and is popular and in demand among the growing economies of the world. This new wharf and ship-loading facility will include a berth, a barge unloading facility, a washing plant, a stockpile area, ship-loading infrastructure, as well as workshops and offices. The construction of the facility together with the purchase of a specialised marine fleet represents a $180-million investment. This is in addition to the $25m the company had already spent on exploration and other associated works leading up to this. “I’d like to be a doctor,” says seven-year-old Martin, sitting quietly in his modest home in Kabwe, Zambia. But the truth is that Martin struggles with his schoolwork, and his dream seems unlikely to become a reality. It was at that age that Martin’s mother, Annie Kabwe, first noticed her children getting stomach pains and fevers, and losing weight. “I thought it might be HIV, but the tests were negative,” she says. Then blood tests revealed very high levels of lead. I thought they would die,” Kabwe says. 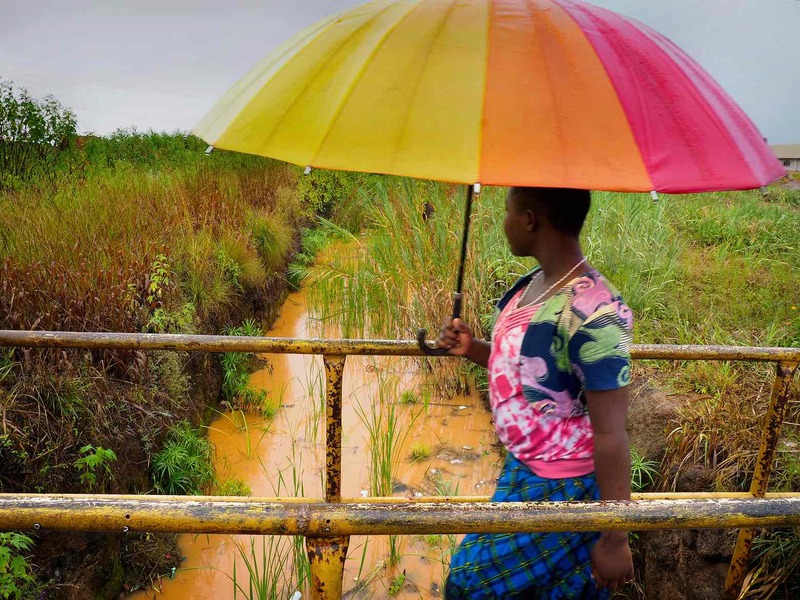 After learning about the toxicity of the dust in her neighbourhood and reducing her children’s lead exposure, through frequent washing of hands and clothes, the worst has not happened. “The problem is they are not really learning well in school, so the lead is still affecting them,” she says. Caravanos says lead poisoning stays with you for the rest of your life – it can’t be reversed. 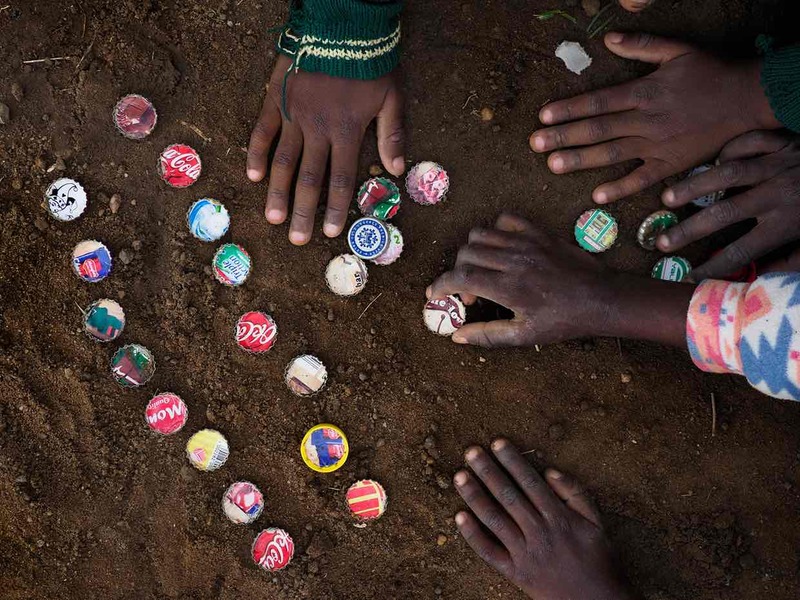 Having seen the extreme lead levels measured in children in several townships, he says severe and widespread health impacts are highly likely, including brain damage, palsy and ultimately fatalities. “I am concerned kids are dying here,” he says. The slow, insidious nature of lead poisoning means careful epidemiological work is needed to distinguish its effects from other causes and reveal the true extent of the crisis. But that work has barely begun. “It is shocking to think that we are here in 2017 and that problem we have known about for decades is still here,” says Caravanos. 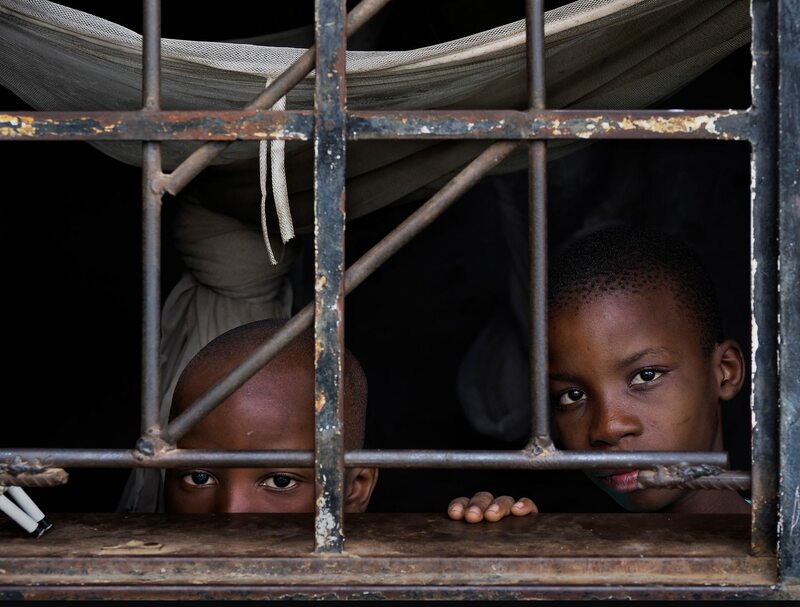 “When you don’t make them properly, you find they just bury someone,” says Provost Musonda, a young father of three, and people have died in the scarred hellscape of Black Mountain. He earns about 80 kwacha ($8.50) a day, unless his chest pains prevent him working. Landowners on Lihir, have threaten to shut down the Londolovit Airport today, over outstanding compensation demand of about K3bn, for more than 20 years. Nimarmar Local Level Government Council Media Officer Tony Sapan, says the closure will affect the Lihir Mine’s Fly In Fly Out services, medicinal supply to the island, businesses, banks and emergencies if they occur during the closure. “Ol papa giraun ting olsem company has used it long enough and they need to be compensated for it. “Imas igat compensation agreement. The company has forgone meetings ol ibin plenim long toktok long dispela compensation. “Na nau, failure blo ol ibai affectim mine, na the whole Lihir community. Mr Sapan also says the landowners have set the April 15 as the deadline to talk about their compensation demand with the company, but this has lapsed and they now have opted to shut down the airport for an indefinite period. 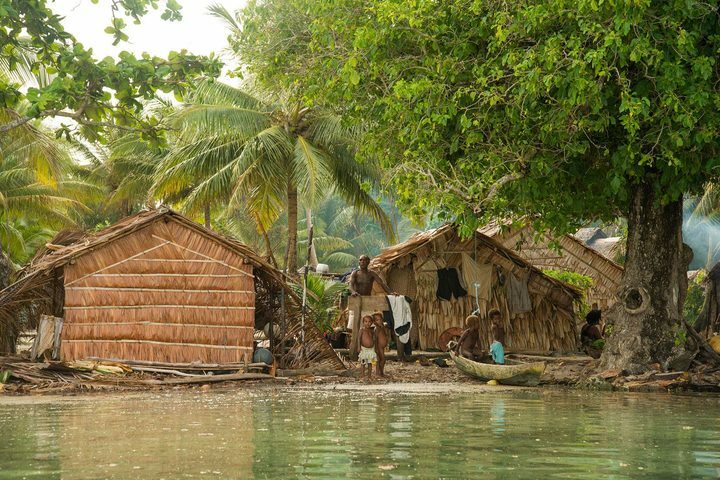 “There is good mining, and there is bad mining, and I’ve witnessed a lot of bad mining,” said the Australian man to the villagers of Noipe in Solomon Islands’ Temotu province. Given the anger among the local community about bauxite mining, the conversation was remarkably cordial. He stood at a roadblock near their village, speaking to a handful of local adults, a teacher and a couple of dozens kids from Noipe’s primary school. “We work really hard with the community,” said the man, “we have agreements with communities for good mining. We do everything we can to protect the land, the villages, the people. “We provide education for the children, we provide training for the adults. Can I show you some photos?” he said, turning to get something from his nearby vehicle. “Okay, alright, thank you very much” said the Australian politely, before leaving. The villagers posted a video of the exchange, saying they do not agree with mining prospecting proceeding on their land. The Australian man in the video is Mark Gwynne, the executive chairman of Pacific Bauxite. This Australian company owns 50 percent of AU Capital Mining, the entity which in 2015 won a license to prospect for bauxite at Nende in Temotu. 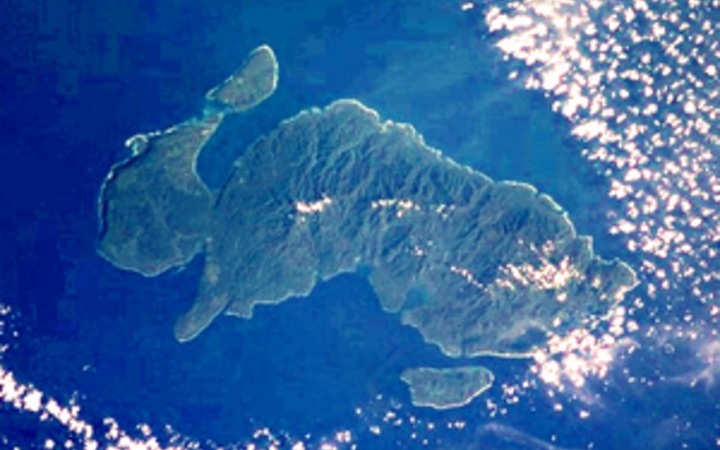 Temotu is the most remote of Solomon Islands’ provinces. 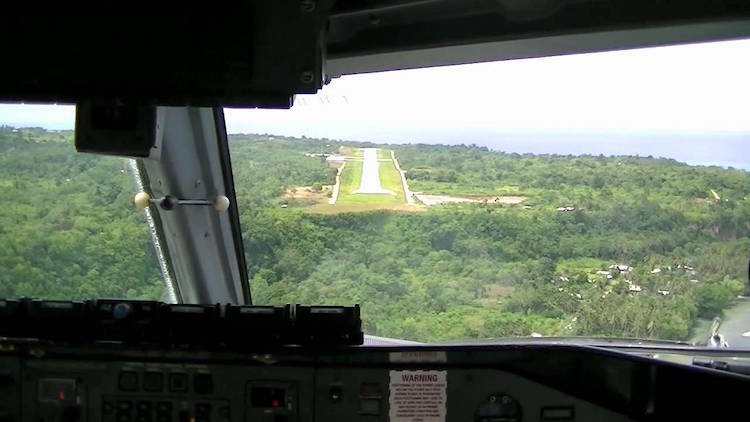 Ships only general visit once a fortnight, and the twice weekly scheduled flights from Honiara are often cancelled as there’s little money to have the grass on Temotu’s airstrip cut. Yet there was a hotly anticipated visit to Temotu this month by Mr Gwynne and company. Pacific Bauxite, formerly named Iron Mountain Mining, is coming in for increased criticism in Temotu over the way in which it gained a business licence to conduct its prospecting at Nende. The license was granted soon after the Temotu provincial assembly voted in a new premier, David Maina, to replace Nelson Omar in late March. Shortly in advance of this, there was a flurry of activity on the Australian stock exchange as people bought up shares in Pacific Bauxite. Mr Omar said the basis for moves to oust him was to approve the business license. “(But) the consent from the resource owners, the land owners, how it was conducted was not done in accordance with existing legislations which govern the mining and logging acts,” he explained. On its website, Pacific Bauxite insists it has consulted with locals. But its assertion that “meetings held with local parties to date have been extremely positive and much enthusiasm has been generated by the recent phase of exploration” contradicts comments from the local communities themselves. In reality, there’s a groundswell of concern about the mining among the community on Temotu’s main island of Nende (Santa Cruz). The concern stems partly from the feeling that local people weren’t adequately consulted in advance about the prospecting by either the company or government. 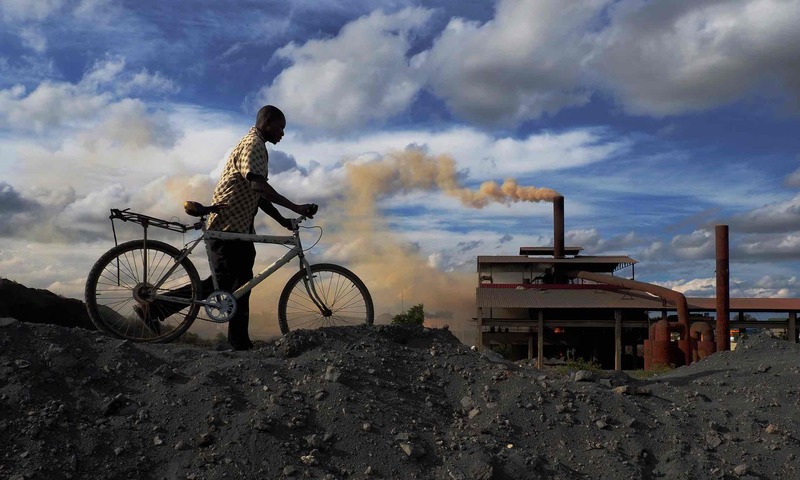 It’s also about fear of the potential environmental impacts of mining. 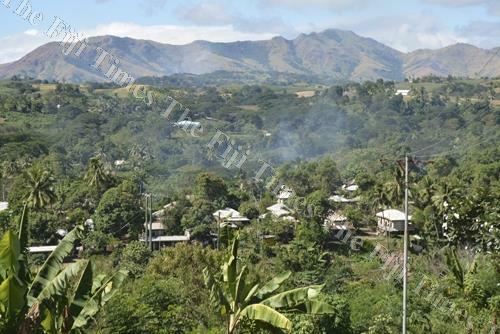 Grace Kava, who is from the west side of Temotu’s capital Lata, said most locals did not approve of bauxite mining due to fear it would devastate the soil. Ben Menivi, who is from Graciosa Bay, said mining posed a big threat to the water source from which the community gets much of its drinking water. Another local, Henry Kapu, explained that because Temotu was prone to natural disasters and sea level rise, people from smaller islands in the group flocked to Nende, the province’s main island, when they needed support, for food or other materials. This support system, he explained, would be at stake once bauxite mining had disrupted then island. 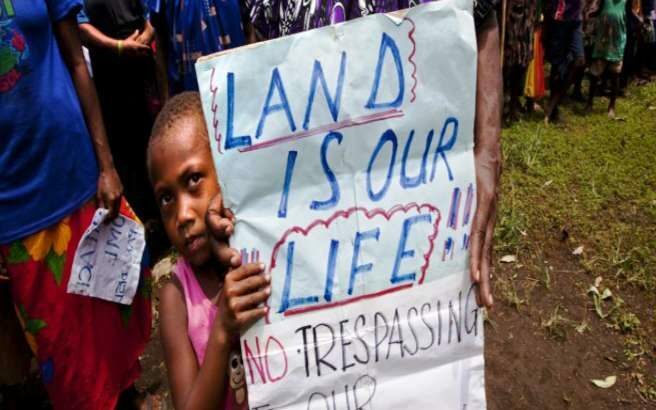 “We will lose all our arable land, crops, ancestral land boundaries and this will further exacerbate land disputes,” he said, warning that this could lead to more ethnic tensions in Solomon Islands. But the Temotu provincial executive is firmly supportive of the project. A provincial minister, and former Temotu Premier, Father Brown Beu said they had considered the environmental impacts, and had consulted with landowners who were largely in favour. “The people who are against this prospecting are all working class, and they’re all in town (Honiara),” said Mr Beu. He claimed that as a remote and under-developed province, Temotu needed the kind of investment the bauxite project will bring. “Unlike other investors who are invested in Temotu Province, they (the mining company) will shortly after this be able to provide medical facilities that we will never – I don’t know, centuries to come – never have. “Isn’t that something that’s worth looking forward to?” he said. Beu’s characterisation of those against mining as outsiders sparked an outpouring of frustration on Facebook. “BB is our past parliamentarian. He says we are backwards in terms of development. Has he done any thing better for our province since his leadership to date?” commented one Temotu man, Desmond Nimepo. When several personnel from the mining company turned up to Temotu in the past week, roadblocks were mounted by landowners to stop them moving around. 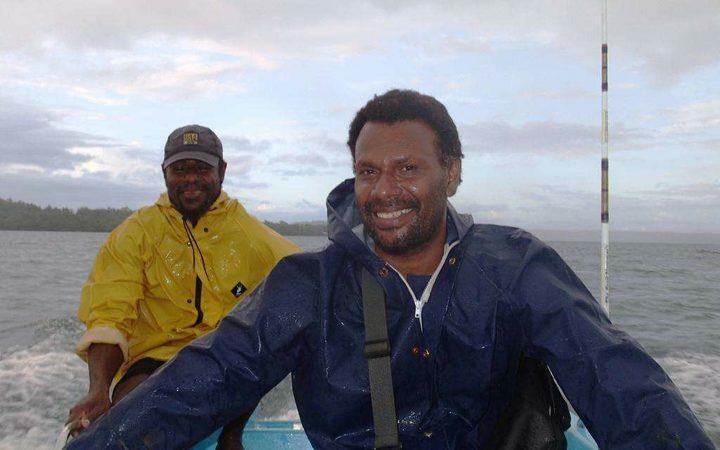 Mr Beu, who confirmed the miners were under police protection while in Lata, has been criticised by a former governor general of Solomon Islands. 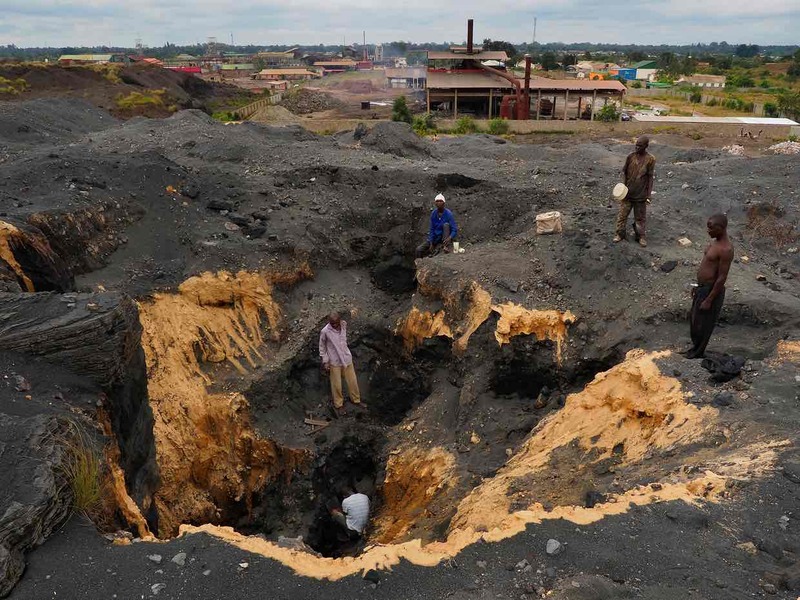 Sir John Ini Lapli, speaking on behalf of Nende people, said Mr Beu’s comments were way off the mark, and that the provincial executive had not taken the impacts of mining into account. According to Sir John, the issue had created tension in Temotu. He indicated that the upper levels of government and the ministry of mines were essentially likely to proceed with the mining, no matter how people felt. “You know they said in this law that certain feet below the ground it is not people’s land it is government’s so that is where the government is sort of proceeding with this. “They came with some agent unknown, they didn’t come through the procedure and so they were able to pay some people to sign accepting this proposal they signed up and that is how they locked these landowners,” said Sir John. The provincial government’s involvement in this process echoes the murky experience around logging operations on Temotu’s Vanikoro Island. 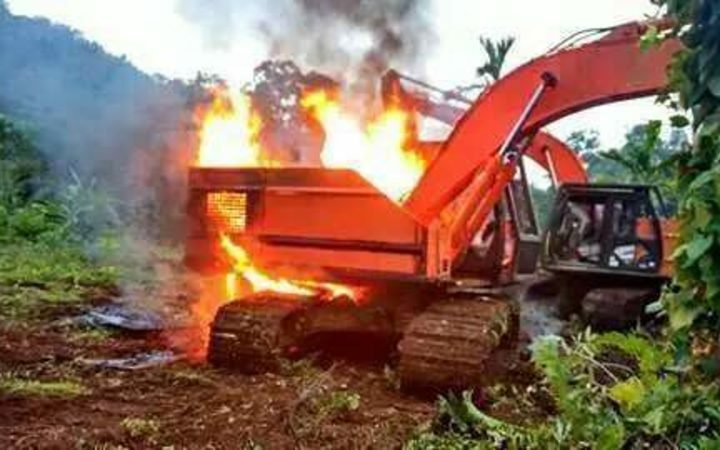 These operations, which have proved deeply divisive among the local community, are run by a Malaysian company, Galego Logging, whose local partner is Vanikoro Lumber Limited. VLL’s chief executive is Temotu’s deputy premier, Ezekiel Tamoa. According to a Vanikoro native, Edward Pae, Mr Tamoa promised that the developer would come and build infrastructure like roads, clinics, wharves, even an airstrip. “But up to now, they only cleared the land… There’s totally no infrastructure developments on the land at the moment,” said Mr Pae. Mr Tamoa disagreed, saying an airstrip and roads were being developed. He also denied there was any conflict of interest in him being the head of a company which got a license to log from the government he is part of. Mr Tamoa disputed claims that in Vainkoro there had been no benefits from the logging, saying an airstrip and roads are being developed. He insisted only a few locals had reservations about logging, but opposition to the project has already boiled over into unrest last year in the form of sabtoage of logging machinery, and has the potential to do so again. Numerous moves are underway to press the provincial government to halt bauxite mining activities, including a public petition. 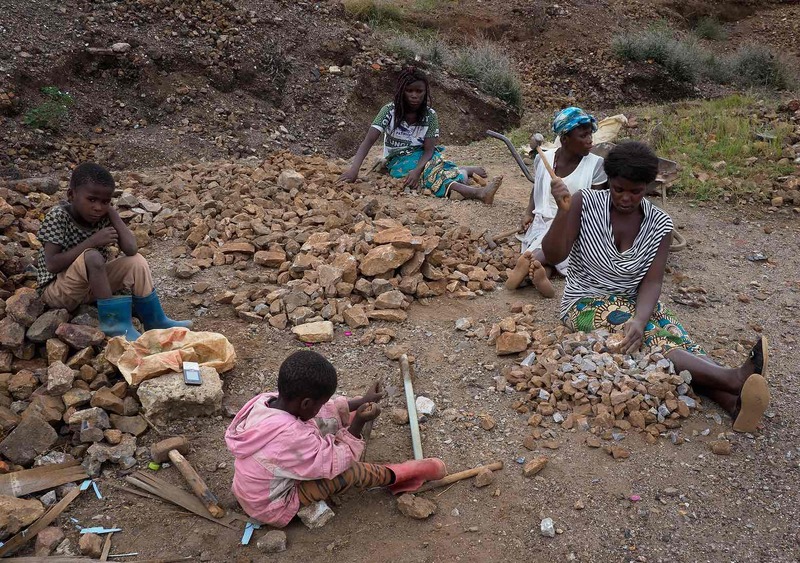 Furthermore, a paralegal officer and concerned landowner Ruddy Oti has been collecting affidavits signed by Nende landowners who feel they were misled by the mining company when it sought to get landowner consent. Mr Oti said that earlier some individual landowners had been approached by the company and gave their consent. A Nende local, Titus Godfrey, said developers coming to Temotu tended not to follow the full process for gaining consent, knowing some local people were interested in quick gains. It’s a theme echoed by Father Colton Medobu, an Anglican priest in Noole village. He said that local people wanted development and were not strictly against resource extractive operators. But he said there had to be proper consultation and a proper strategy to avoid potential displacement and negative health and environmental consequences from these developments. While the provincial government appears unlikely to answer the petition’s call to revoke the mining company’s business license, it is under increasing pressure to respond to the community’s concerns. Yet Brown Beu said that until the prospecting finished, it was premature to stop the project. “Then, we’ll be able to ascertain as to whether there is enough minerals in the soil for mining later on,” he explained. This may not be the case – once a Surface Access Agreement is signed, there is most likely little way to stop the mining other than through the courts at the Development Consent stage. However out of the current venting on Temotu has come an elevated level of public discourse about mining and logging. Raising awareness about these areas was the aim of NGO Oceans Watch. The co-director of Oceans Watch Solomon Islands, Chris Bone, said there had been a lack of awareness about not only the impacts of logging and mining, but also about what the better options were. 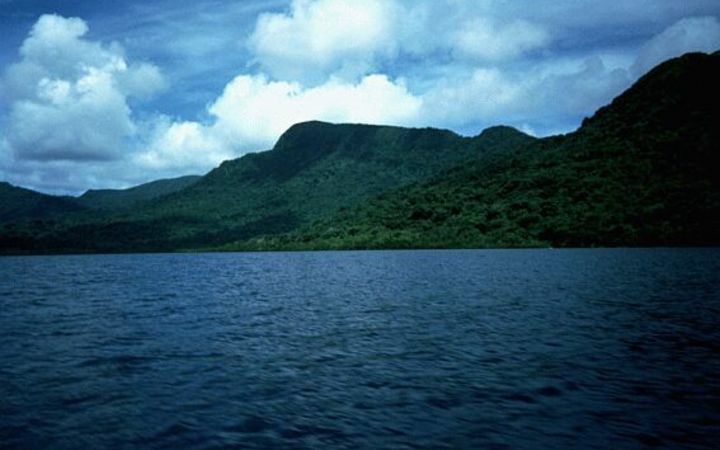 Of those options, eco-tourism is an area that Temotu has huge potential in. “The place is absolutely gorgeous. It’s a very, very special and very treasured place, and one of the last places in the Pacific that has this wonderful primary rainforest,” he said. For now, Temotu’s leadership and the national government are being urged to be decisive about community concerns over the mining issue. Sir John Ini Lapli and others have warned that frustrations among landowners and tribal groups could escalate to violence if nothing is done. 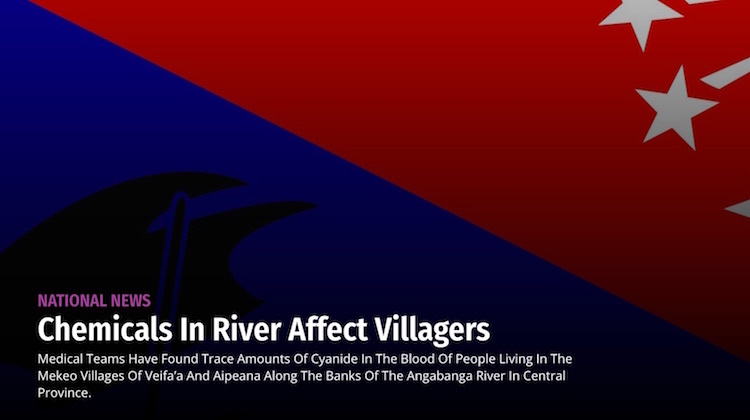 Medical teams have found trace amounts of cyanide in the blood of people living in the Mekeo villages of Veifa’a and Aipeana along the banks of the Angabanga River in Central Province. The Angabanga River connects many other villages in the Mekeo LLG to Goilala where Tolokuma Gold Mine is also located. Opponents of a proposal to mine millions of tonnes of iron sands from the Taranaki seabed have resumed their attacks in the final day of hearings on the project. Trans-Tasman Resources wants to dig five million tonnes of iron ore from the seabed every year for the next 35 years. 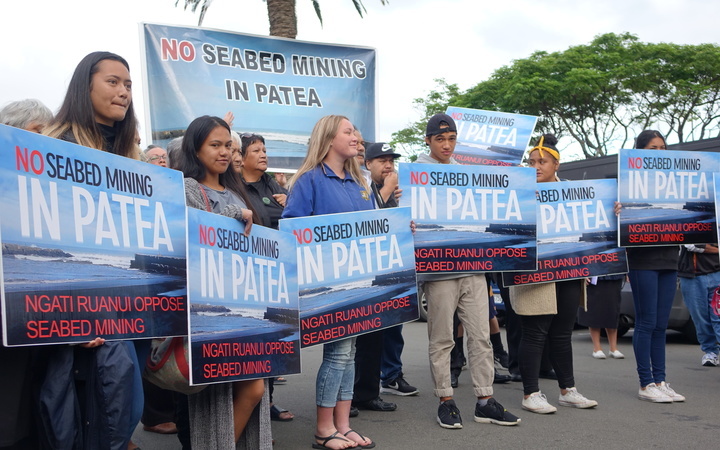 Two lobby groups, Greenpeace and Kiwis Against Seabed Mining (KASM), want the scheme blocked by the Environmental Protection Agency. KASM representative Ruby Haazen told the EPA hearing this morning a plume of mined sediment would harm the sea and sea life. “Marine mammals is the most egregious example but the most fundamental example is the plume,” she said. Ms Haazen said the worst case did not stack up economically either. The company will make its final statement this afternoon. Trans Tasman Resources (TTR) had failed to provide the information on the impacts of seabed mining that the EPA used as a basis for refusing the company’s first application in 2014, so there was no choice but to again refuse consent, Kiwis Against Seabed Mining and Greenpeace told the hearing today. After a four-month EPA hearing into TTR’s application to mine 50 million tonnes of the South Taranaki Bight seabed every year for 35 years, KASM and Greenpeace gave their closing arguments to the EPA today (full document here). In 2014, the EPA gave clear directives as to the information that should be gathered before submitting a new application, the groups told the hearing. TTR did some new modelling on the sediment “plume” and economics, but that was all. “The other key areas for work such as marine mammals, benthic and seabird studies had not been undertaken. It just wasn’t done,” KASM and Greenpeace lawyer Ruby Haazen told the hearing. “The South Taranaki Bight is an area that has not been the subject of any in -depth scientific or environmental research. What we know has always been limited. [TTR] has attempted to convince us that there is in fact a lack of environmental activity in the area. “This thinking underpins the philosophy of the applicant in approaching this application and sums up how things have gone so wrong. She noted that this application was – and still is – the first of its kind, not just in New Zealand but internationally; its effects are new and unique, and the scale of the proposed application is large and unlike any carried out in New Zealand before. “The evidence presented has demonstrated that from what we do know, this area may be much more significant than anyone previously thought,” she said. The company had modelled the spread of the “plume” of sediment around the STB, but had withheld key data. There were not enough samples for any expert to be able to verify the company’s claims that “flocculation” would reduce the effect of the plume. The so-called “worst case scenario” modelling that the EPA sent the company back to carry out was nothing like the “worst case” – and cannot be verified. Despite what the EPA said in its 2014 decision, TTR hadn’t done any further marine mammal surveys for this second application, and even then those surveys were only between the mine site and the shoreline. This contrasted with evidence given by blue whale expert Dr Leigh Torres, who confirmed to the hearing that many blue whales had been seen in the South Taranaki Bight, and that her research confirmed that the Bight may be host to New Zealand’s own population of blue whales. Nobody really knew what the effect of noise from the mining would have on marine mammals, including the whales. The EPA decision is due around the end of June.